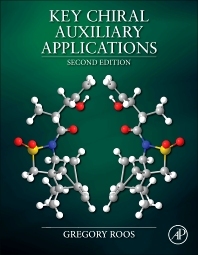 Key Chiral Auxiliary Applications, Second Edition is a detailed compilation of chiral auxiliary applications organized by type of transformation. Continuing from the most important and relevant auxiliaries described in its predecessor, the three-volume set Compendium of Chiral Auxiliary Applications (2001), as well as advances in the field, the book provides a vital and timely resource for chemists in the field. Each reaction class includes a series of tables and graphical abstracts of real reactions from the literature and patents to enable easy review and comparison of results. This anticipated edition is based on a screening of nearly 40,000 auxiliary reaction applications, with details supplied for the more than 13,000 selected representative entries: synthetic route, reagents, yields, diastereomeric/enantiomeric excesses, and characterization data. Updated and streamlined with more than 60% new material, Key Chiral Auxiliary Applications provides valuable guidance and reliable content for selecting the best auxiliary for a specific asymmetric synthetic transformation. Industrial, organic, and pharmaceutical chemists in industry and academia. 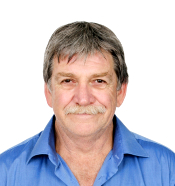 Greg Roos’ formal education comprised of a BSc (1971), BSc Honours (1972), and PhD in Organic Synthesis (1976) from the University of Cape Town. A postdoctoral fellowship with Richard Cookson at the University of Southampton was followed by a few years of pharmaceutical industrial experience. His fulltime academic career involved the University of Natal, South Africa (1981-1994), Murdoch University, Australia (1994-1997), and an extended period in the Middle East, including Sultan Qaboos University, Oman (1998-2004) and The Petroleum Institute, Abu Dhabi (2004-2008). He has successfully taught across various cultures and has received awards for his teaching contributions and innovations. Since 2009, as an adjunct Professor at Murdoch University, he shares his time between Australia and Dubai. His research interests have focused on the development of synthetic methodology, with particular interest in asymmetric processes. This provided numerous publications in the areas of the Baylis-Hillman reaction, imidazolidinone chiral auxiliaries, and dirhodium catalyst development and applications. This period also included a number of productive collaborative visits with Tony McKervey (University College Cork & Queen’s University, Belfast), C. K. Sha (Shin Hua University, Taiwan), Mike Doyle (Trinity University, San Antonio), and Ron Warrener (CQU Rockhampton, Queensland). In 2001 he received the Merck Gold Medal for research from the South African Chemical Institute.